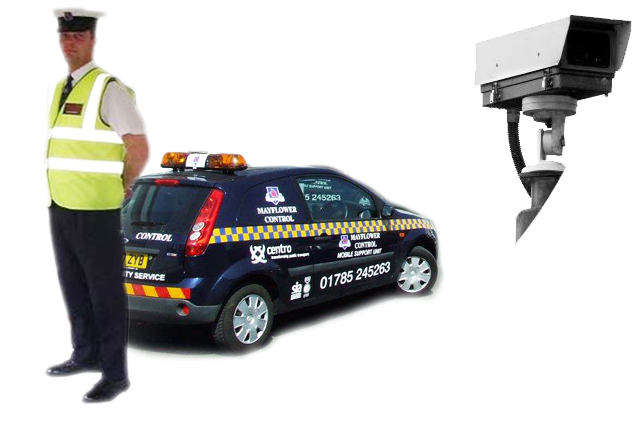 Based in Stafford, Mayflower Control Ltd continue to offer premier security services across Staffordshire, the West Midlands and surrounding counties. Mayflower Control Limited since its formation in 1989, has grown in a rapid but structured way and is considered to be one of the leading organisations in the manned guarding sector in the midlands. Our skilled Management team has a vast pool of experience drawn from within the Security and Armed Forces, also the electronics and financial industries. We have developed a first class Quality system to monitor and advance cost-effective manned or electronic services to our clients. Our policy of providing total security solutions to meet our customers requirements (and their budgets) has ensured our continued growth and clients trust. What ever your security needs, we can offer a service, which is not only tailored to your specifications, it is also guaranteed to be second to none.